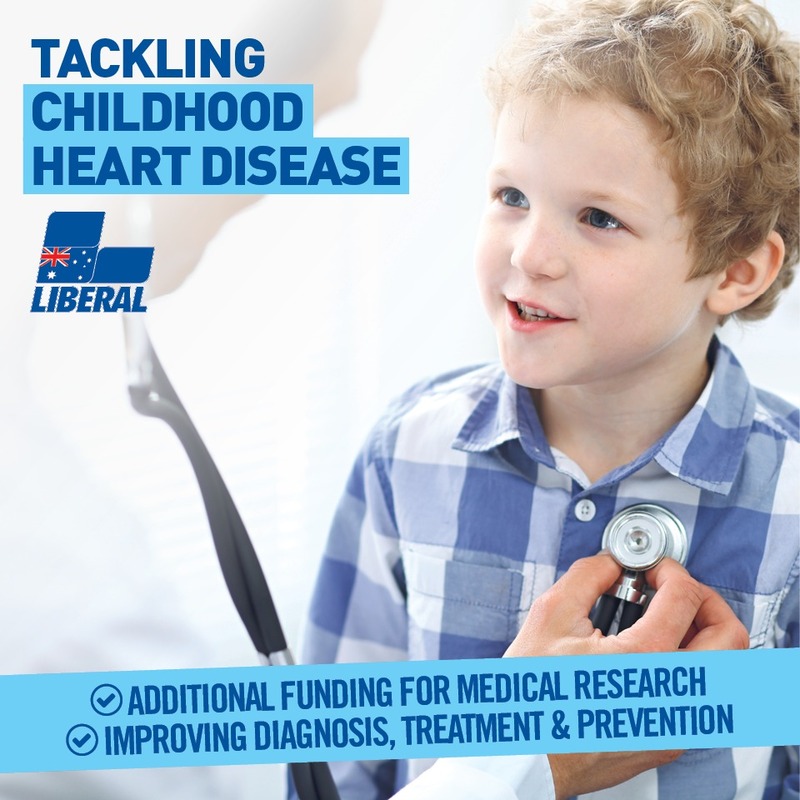 The Liberal Government will establish the HeartKids Project with $26 million to tackle childhood heart disease, which affects more than 65,000 children throughout Australia. Today, on International Day for Congenital Heart Disease, Federal Member for Pearce, Christian Porter, said the Government will provide $20 million for medical research into congenital heart disease. “This funding from the Medical Research Future Fund will support our best and brightest researchers to translate their vital work into real health benefits – better diagnosis, treatment and prevention of congenital heart disease,” Mr Porter said. Congenital heart disease is the leading cause of deaths for Australian infants and the second leading cause of death for children. Sadly, eight babies are born with congenital heart disease every day, with four passing away each week. There is currently no known cure. Mr Porter said the Government will also provide up to $6 million to help implement the recommendations of the National Strategic Action Plan for Childhood Heart Disease by supporting HeartKids with $1 million per year over six years. “We announced the National Strategic Action Plan for Childhood Heart Disease a year ago along with $150,000 for the organisation HeartKids to jointly develop the plan,” Mr Porter said. “The Action Plan will guide improvements for the care of thousands of patients, and save lives. The Action Plan targets three priority populations that are disproportionally affected by childhood heart disease – Aboriginal and Torres Strait Islander people, adolescents and young adults who are moving from paediatric to adult cardiac health services, and people living in remote, or rural and regional locations. Mr Porter said a particular focus will be to help young people impacted by childhood heart disease as they move into adulthood. “We are committed to doing more to support people battling this dreadful disease – and the HeartKids Project will help us chart the most effective way forward,” Mr Porter Said. “Since 2013, the Coalition has provided $662 million for research into forms of cardiovascular disease including $45.7 million for congenital heart disease research.